Linky now dead..... can repost the pic's if anyone wants them. Say, would it be these pictures? 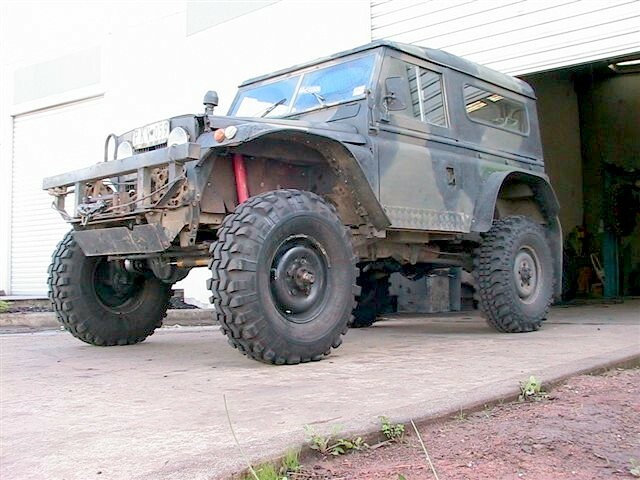 I had found them on a russian site some time ago...is that Bill van Snorkels truck? ???? Link and pictures work fine here. This is the portal explanation. Thank you for finding those photos Michele. to answer your questions in order. 1/ The portal boxes are hand fabricated from steel channel section, flat plate and pipe welded together. They are the simplest form of construction, ie,an open box with a flat bolt on lid . To simplify construction and minimise costs,I tried to use as many old LandRover bits and pieces as possible.Each box contains 2 pairs of relatively narrow straight cut gears siamesed together to form 2 wide gears. The gears themselves are actually series 1 and series 3 transfercase gears. The upper(small)gears are the low range section of series 3 intermediate gears, scotch pinned to 24 spline carriers. The bottom (large) gears are the low range slider gears from series 1 or 2 t/cases, mounted on cut down and bored out t/case output shafts with an internal spline broached in them.The rear boxes bolt to a RangeRover banjo housing. the upper halfshafts are series 2/3 aftermarket 24 spline. the bottom shafts are full floaters ,they are LR FC 101 21 spline pattern on bored out 110 hubs mounted to modified 101 spindles. 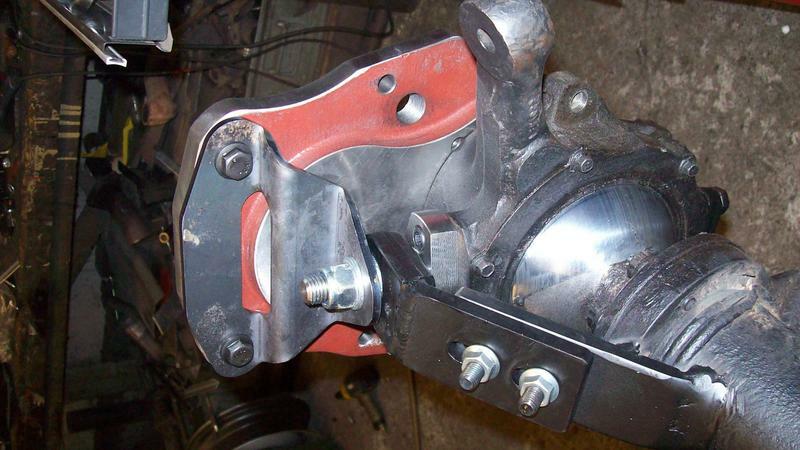 All gears run on tapered roller bearings, and the bearing housings are made from the flange and throat of old scrap series swivel housings .The braces are to strengthen both the banjo housing and the portal boxes. 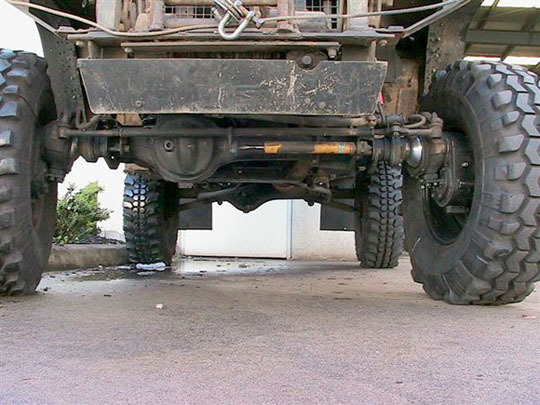 The modified and airlocked 3.54:1 Rangerover diffs are fitted in upside down to reverse the upper axle rotation so that the 2 shaft portals correct the direction of drive. The portal box ratio is 1.56:1. The portal drop is 118.4 mm.The front axle consists of a RangeRover banjo housing onto which I have grafted series 3 swivel balls. These are substantially larger than RR/defender swivel balls, and I have strengthened them further by fitting flanged, pressed in, welded inserts in place of the redundent parallel roller bearing that once supported the UJ type half shafts. The front diff is similar to the rear one and also fitted upside down.Upper inner halfshafts are aftermarket 24 spline RangeRover.CV joints are modified Toyota with 23 spline Rover cage and stars fitted. bottom shafts same as rear. front hubs are bored out series3 stage 1 mounted on Jack McNamara Differentials oversize spindles from their 35 spline Salisbury axle upgrade kit. 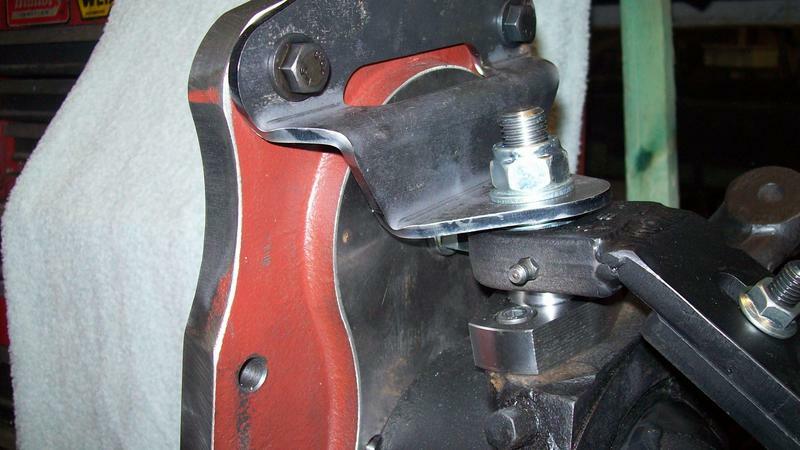 I have swapped the steering arms from bottom to top of swivel housings to get reverse Ackerman angles which sharpens the turning circle, particularly on loose surfaces. You need to logon to that forum apparently. Worth it just to read the whole thread. - A few Volvo portalled Defenders. - Mechanical forced articulation system. 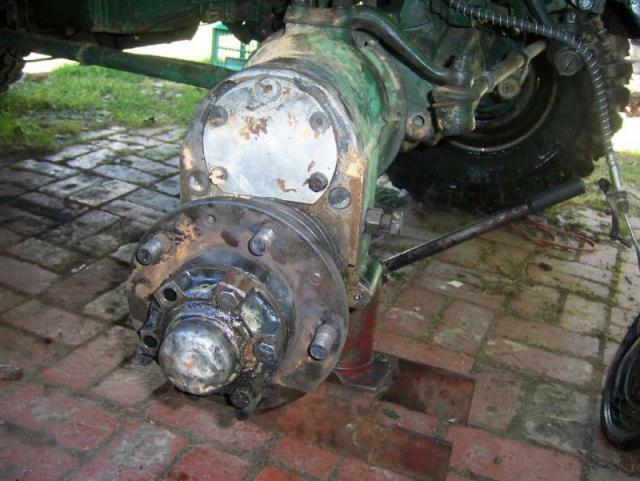 - Underdrives using a part of a Dana transfer case and a few Landy parts. Red90, where could I find more about the things that Bill build? Enough so that I am exchanging E Mail's with Wolfgang as I type here! Hi gents, Bill here. 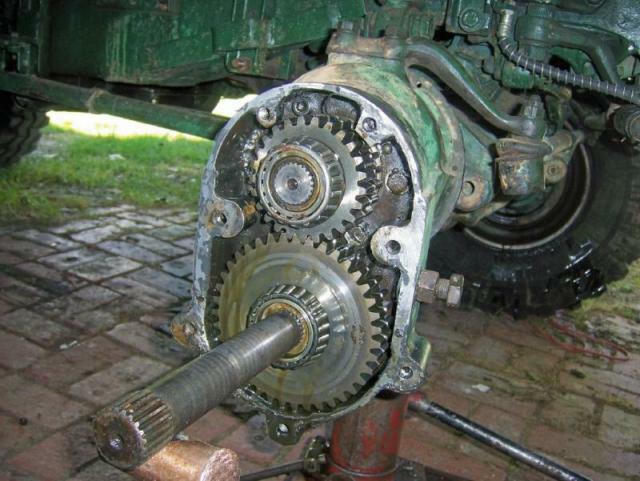 i will try to give you a brief rundown on what is involved in making up a crawler gearbox that fits to the pto aperture on Landrover series tranfercases and 4 speed LT95 tranfercases also. 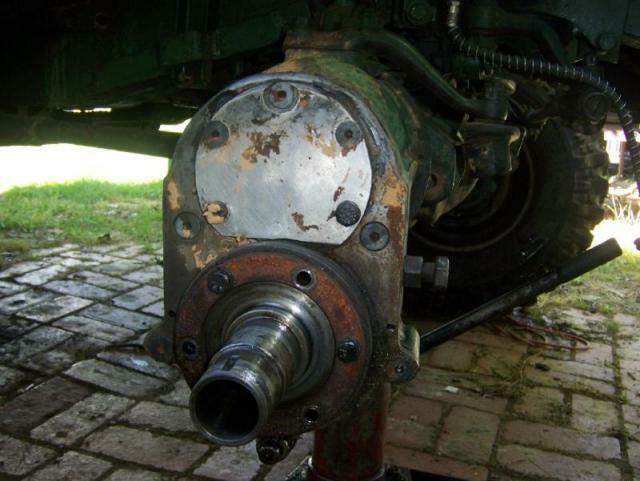 The parts you will need are, an old Fairey overdrive to suit your particular transfer. 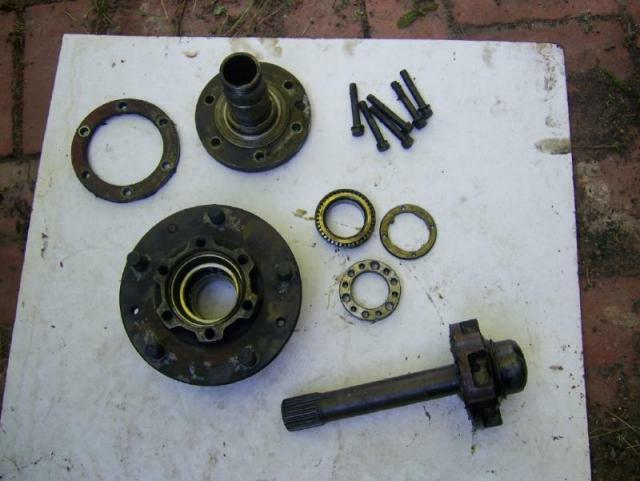 This must have an input shaft and adaptor gear that is in good condition in the male and female spline area. 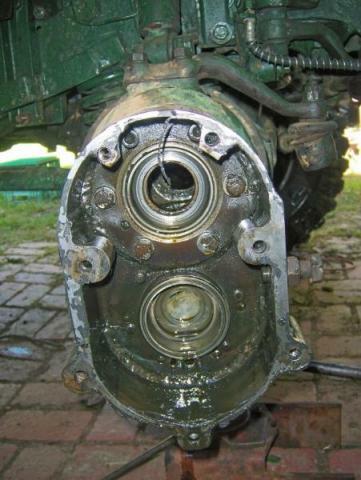 You will also need to source the bolt on two speed high low range planetary gearbox from a Borg Warner Quadratrac transfercase as used on automatic Jeep wagoneers, Cherokees, CJ7's etc from circa 1980's If you plan on stealing one, these vehicles can be identified by having a rear diff that is offset to the right whereas non Quadratrac models have a centred rear diff. The only partts of the old overdrive you will use are, part of the gear case from the flange forward. The adaptor gear, the input shaft and the cylindrical output gear. and some needle thrust and roller bearings. 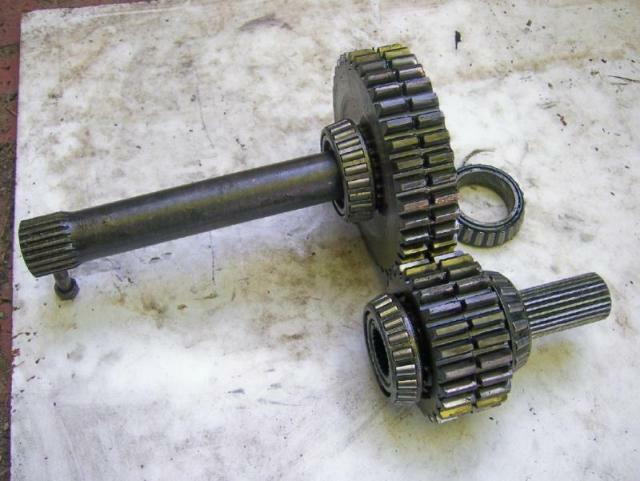 the fairey input shaft is cut and resplined to engage with the female spline of the Quadratrac input gear. The Fairey cylindrical output gear is modified by grinding the teeth off the small helical gear at one end, and welding on the course splined dog from the old Quadratrac out put gear. An aluminium adapter and blanking plate will need to be machined up to bolt the planetary unit to the Landy pto aperture. I have only performed this conversion twice. on a series 2a tranfercase and an Lt95 and I worked out the dimensions as I went along, so unfortunately i didn't make drawings. They have proven to be very strong with hard use over the years. I had to replace the roller bearing with a bronze bush on the adaptor gear due to brinelling as the planetary unit spends most of its life in high range. 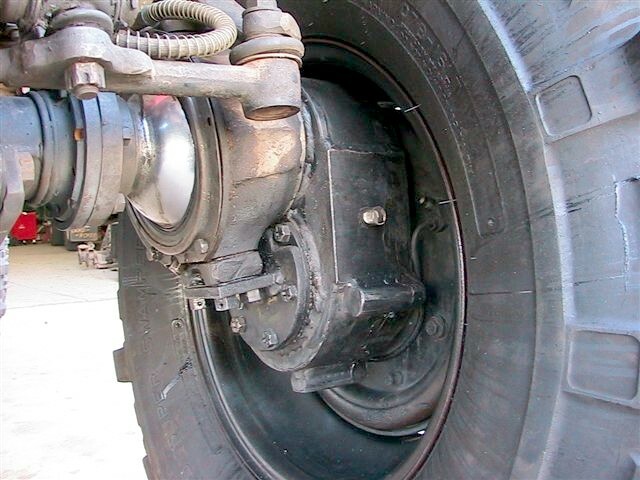 This brinelling also occurs on standard Fairey overdrives if overdrive is not engaged regularly. 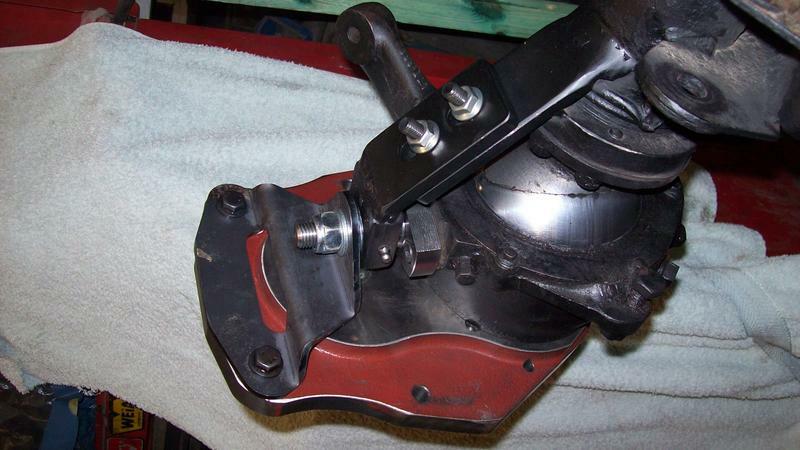 This conversion will not suit lt95's with the large handbrake assembly. 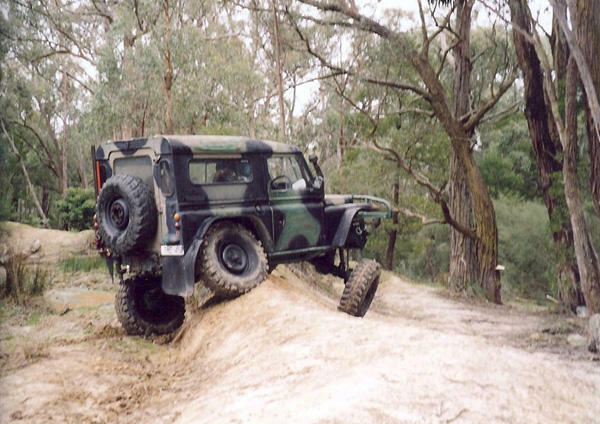 you must adapt the smaller handbrake from a series i,2 or 3 or the early Rangerover 4spd. It could possibly also be adapted to the later Lt230 transfer case but as there are no dead overdrives around for these it would be more complicated and expensive. The low range ratio in the planetary unit is 2.57:1 when this is combined with the LT95 gearbox and 3.54 diffs it yeilds an overall ratio in low low 1st gear of around 127:1 . Standard low 1st is around 48:1. 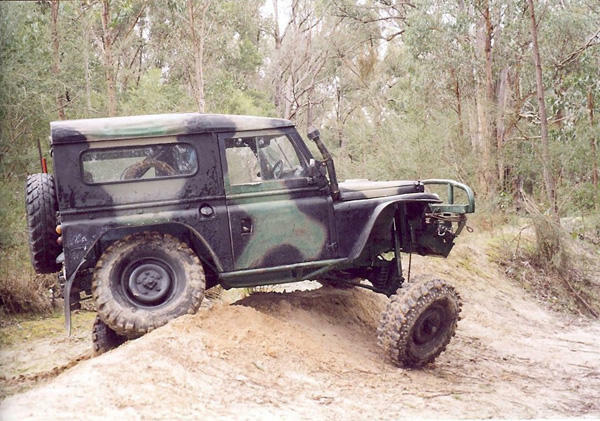 My own series 2a LandRover fitted with a D series Ford truck gearbox, suffix b tranfercase, crawlerbox, 3.54:1 diffs and 1:56:1 hub reduction in the portals yields an overall ratio in deep reduction 1st gear of 278:1. Most people would think this ratio is unusable, but with lockers, good tyres, lots of ground clearance and gobs of axle articulation I have used this ratio to good effect on many occaisions. 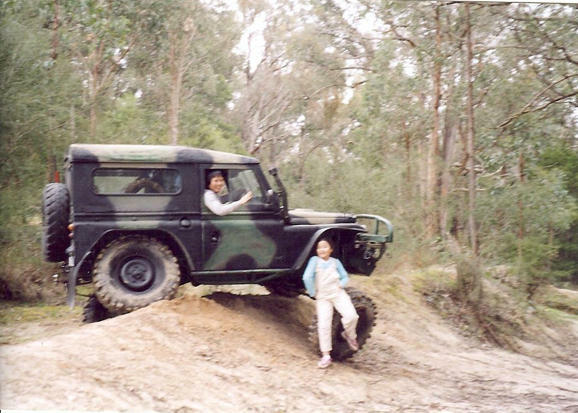 Because the company that I was involved with "Off Road Rover" is no more. and I no longer possess the machining facilities that I once had, my assistance with this conversion unfortunately is limited to advice. 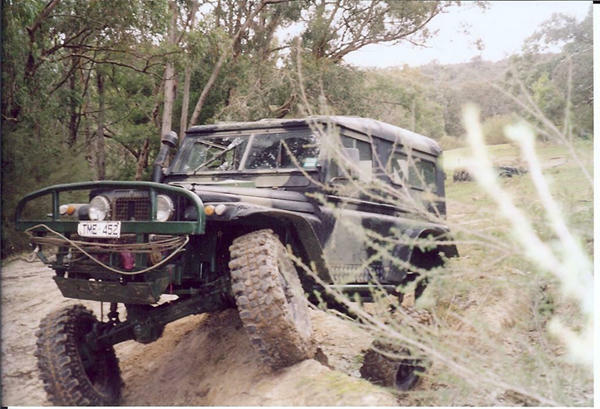 I have seen a similar pto mounted crawler box on a landcruiser transfercase in the showroom of Marks 4WD adaptors. It apears to be a coventional Mainshaft Layshaft (non planetary}design. They do not appear to like Rovers too much over there, so I am not sure how easy it would be to persuade them to adapt the crawler for rovers. Incidently, I had heard that Ashcrofts crawler unit was withdrawn from the market because they were having too many warranty claims, not because of low sales volume. Ashcroft is not a volume oufit and one or two units per month would probably have been enough for them. 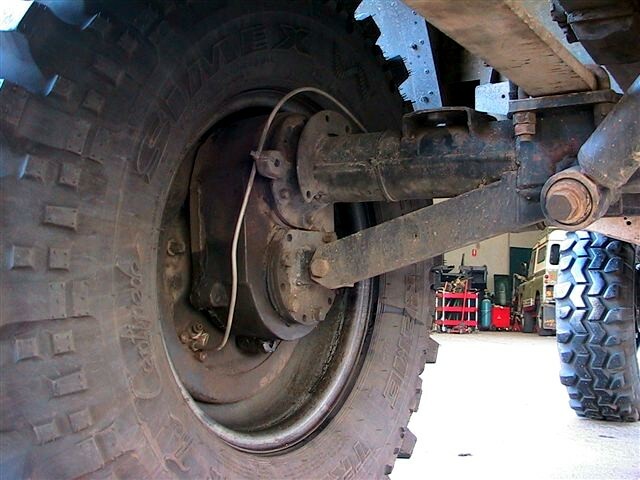 If you put killer axles into google, it should offer a translation. I have not looked into portals due to cost and the fact of replacing with a heavy axle, but these seem like an excellent alternative. Only problem is I own a 90 and dont think portals are suitable on a short wheel base vehicle. It has certainly made me think twice about it though and I will be showing this to friends. Does anybody have a cost for a rover set yet? willing to drive to Germany to have them fitted ferry is only £50 return!